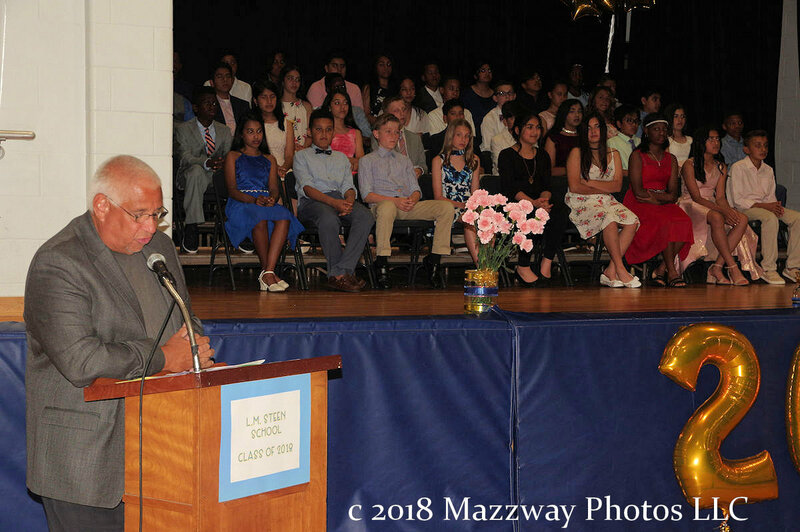 On Wednesday-20-June the Lillian M Steen School in Bogota held their graduation ceremony for the Class of 2018. 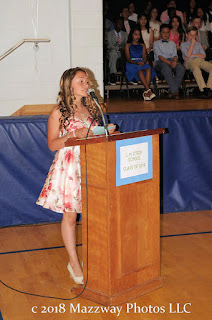 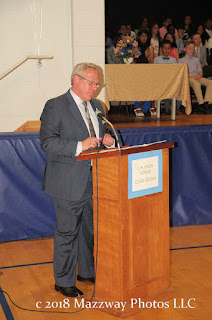 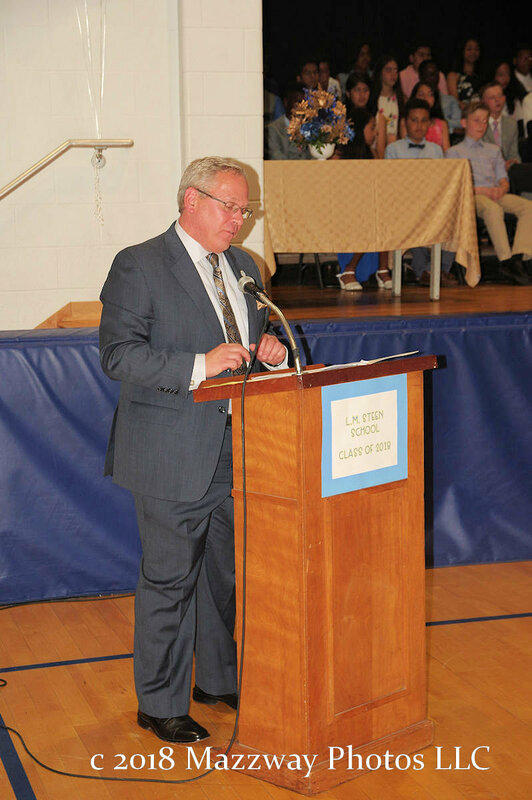 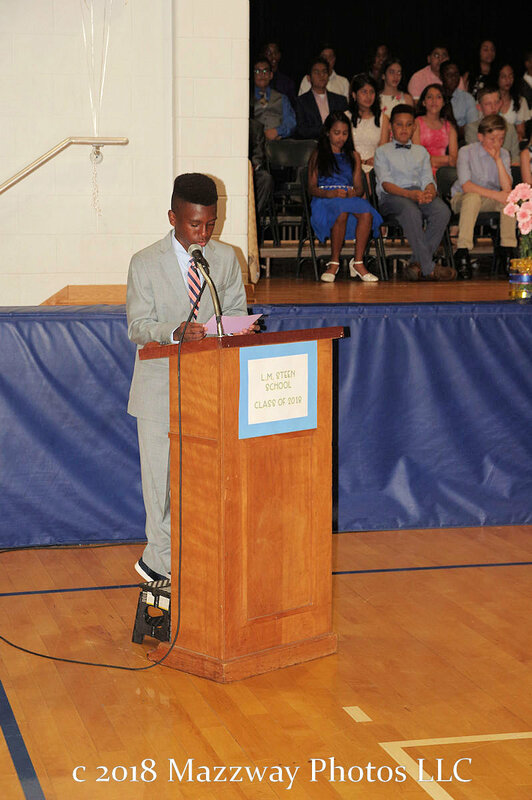 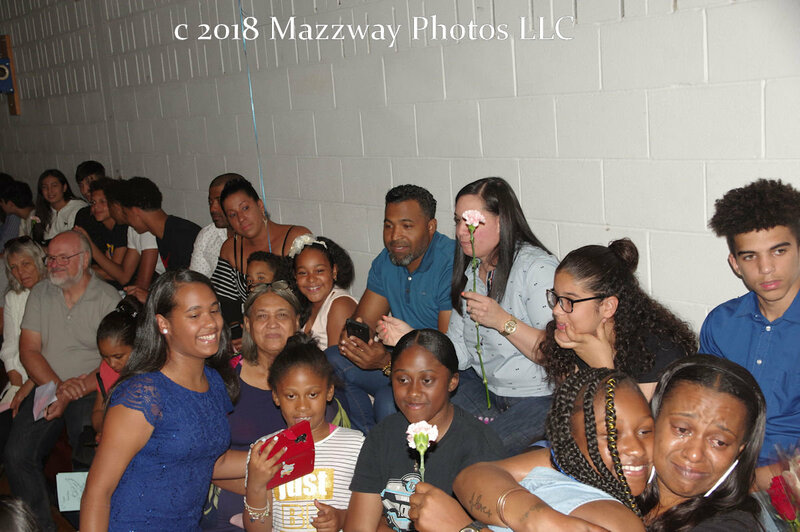 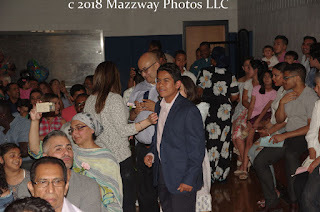 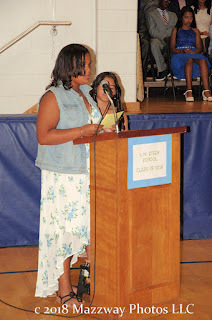 46 Sixth grade proceeded in the the David Moore Gym and stood in front of Families and Friends to begin the next part of their Academic career. 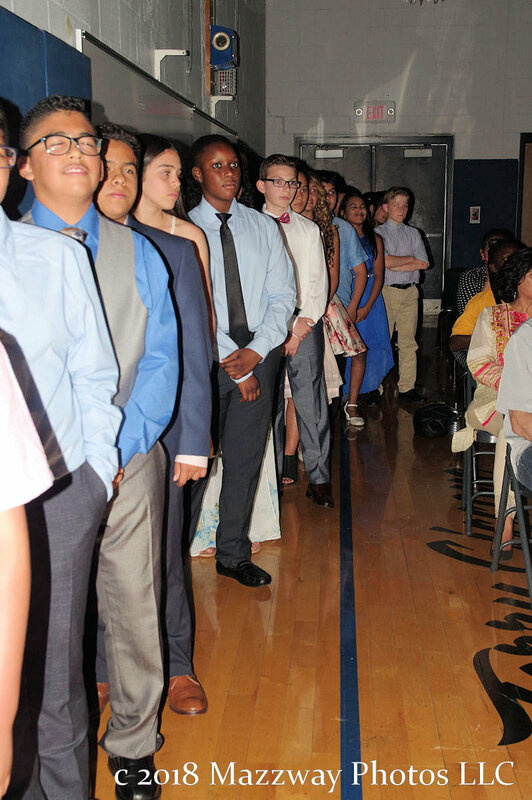 Genesis Hiraldo and Francisca Smith lead the audience in the Pledge of Allegiance and the singing of America the Beautiful. 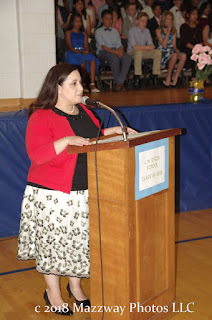 next Steen Principal Dayle Santoro welcome the attendees in being a part of their Students success. 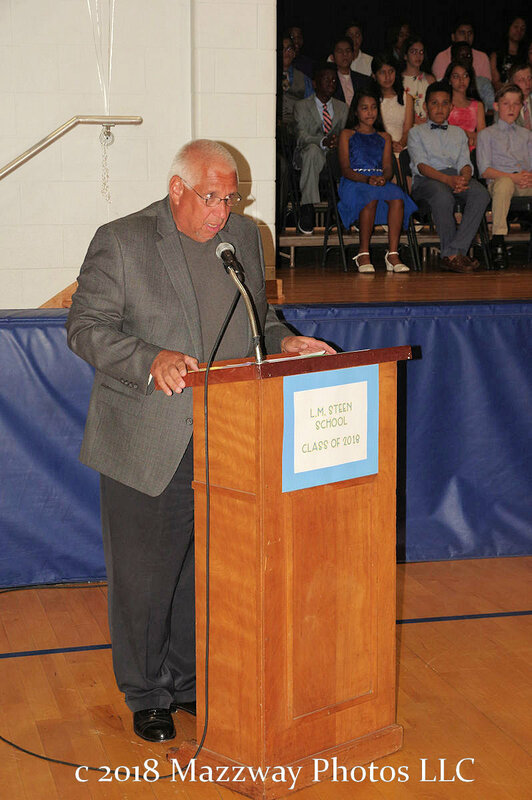 School Board Superintendent Dr. Vincent Varcadipane also congratulated the Students and told them of just some of the experiences awaiting from them at Bogota High School. 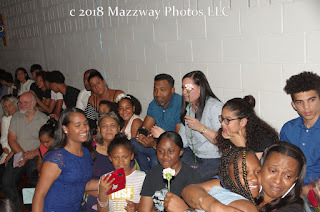 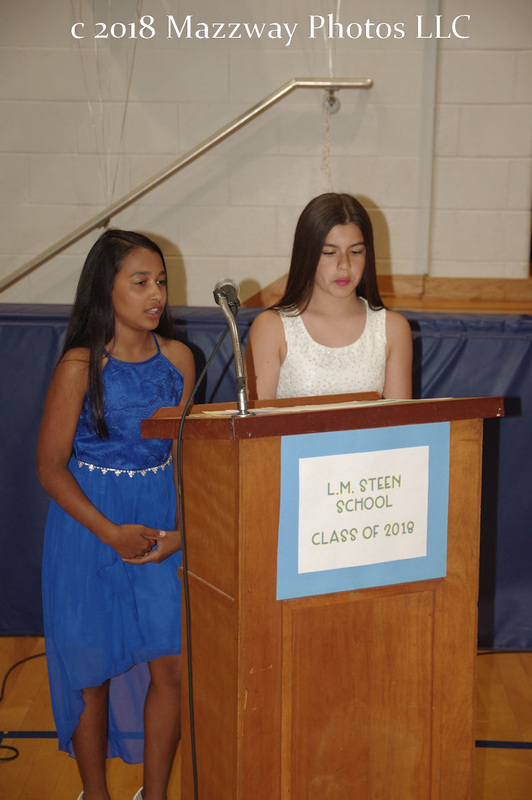 Kaelee Zuniga remembered the times of growing up together in Steen, and this was followed by a presentation of the past year at Steen School. Next John Canada addressed the Parents thanking them for the support which allowed them to grow up. Mr. Canada added how the Parents would take care of the little thing like paying the bills and taxes so the Students could focus on the job of being kids. Then the Graduates descended the stage to present their parent with a single rose in recognition of their support. Makayla Douglas and Brianna Mejia talked to their Classmates on what challenges lie ahead and how how their time at Steen will be a guide to help them in life. Then Principal Santoro awarded the members of the Class of 2018 their Certificates of Promotion. Principal Santoro then gave a tribute to Physical Education Teacher Ms. Terri Ciccone for her years of service to the Students of Bogota and wished her well on her retirement. 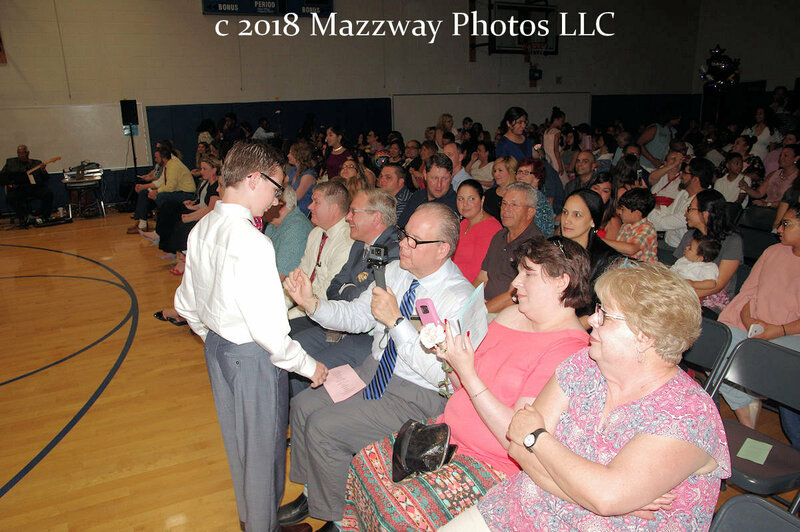 Ms Ciccone was presented with a bouquet of flowers by two of the Students.The Bogota Mayor Chris Kelemen talked about being a Senior in High School and talking to the new teacher in school. 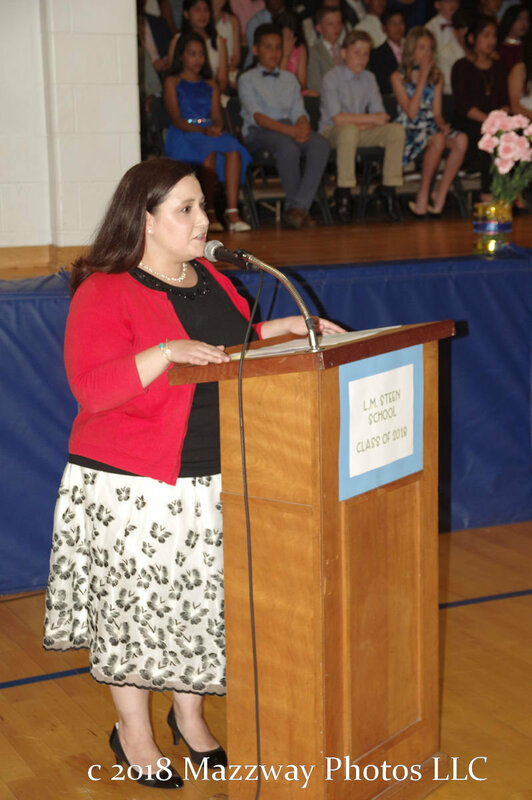 While he , and other Students thought they needed to "test the new teacher" What he found out then, and her Students for the next 34 years learn the Ms. Ciccone was caring person who tried to bring out the best in her Students not just in playing sports, but in life as well. 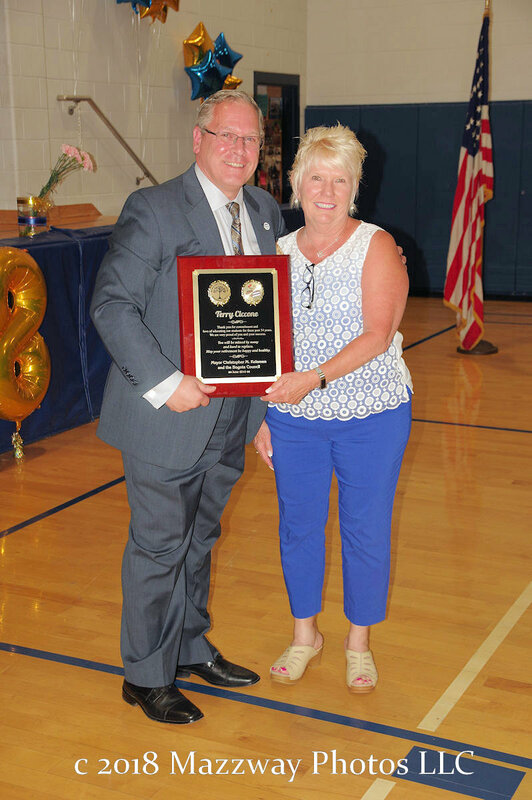 Then Mayor Kelemen presented her with a plaque to honour her for the work she has done in Bogota. 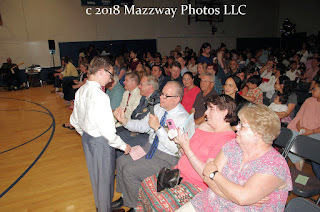 During the graduates final song a few Student came of the stage and presented Ms Ciccone more flowers thanking her once again.